Every so often, I believe that everyone has some sort of creative urge Get Creative & Funky With The Mixel App [iPad] Get Creative & Funky With The Mixel App [iPad] While the iPad is mostly a media consumption device for surfing the web, reading e-mails, and watching movies, there are some amazing apps like GarageBand and Keynote apps that make it a really creative tool... Read More . Whether it turns into a beautiful painting on canvas or simple bathroom graffiti, it’s all driven by the same fire. Fortunately, with all the technology that surrounds us, we have an easy outlet to carry forth our desires to create, and that comes in the form of digital art 3 Tools To Help Create & Edit Minecraft Skins 3 Tools To Help Create & Edit Minecraft Skins Minecraft made the jump to 1.1 recently and still (unofficially) holds on to the title of the most successful and addictive, single-player indie and MMO game that we've seen in a long, long time. I'm... Read More . What is digital art? It could be a painting, a model, a graphic design 7 Reasons To Embrace Online Culture [INFOGRAPHIC] 7 Reasons To Embrace Online Culture [INFOGRAPHIC] Everyone and everything is now on the web, and if not, then they should be. More and more of our lives are becoming inter-connected with one another, whether we are doing our banking online, buying... Read More , or even a photo composition. Granted, all of these can be done in real life, but the catch is that with digital art, it’s all done with a computer. If you’re interested in enhancing your skills as a digital artist, the web has several tutorials out there to help you to boost your talents. DeviantART is already a fairly well-known resource for artists to share their work and gain critique, but it also offers many user-generated tutorials. On DeviantART 10 Inspirational Websites For Creating Your Own Customized Logo Designs 10 Inspirational Websites For Creating Your Own Customized Logo Designs Designing the perfect logo requires an in-depth understanding of the company, the product, the consumers, and the culture in which all these operate. But what if you are starting out with your own small business... Read More , you’ll find an omnibus of tutorials full of different styles of art. From creative cartoons to masterful paintings, DeviantART has it all. Even though it is already very popular, I included this site due to its nature of primarily being described as a community for artists. Often, we forget that those artists seek to share their own knowledge, and you can have access to it right here. 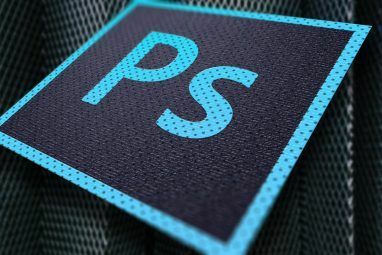 Another kind of digital artwork is a photo illustration, and PSHero has a collection of Photoshop-oriented tutorials that will help you optimize your own work. These photo compositions make use of artistic elements, enhancement techniques, and other methods to add to what your camera has already captured. 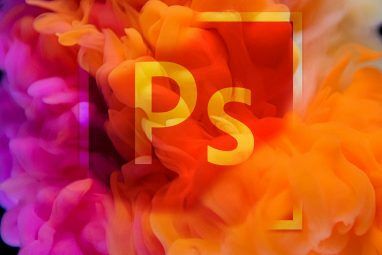 Besides photo creations, PSHero also offers tutorials for colorful projects involving only Photoshop itself. 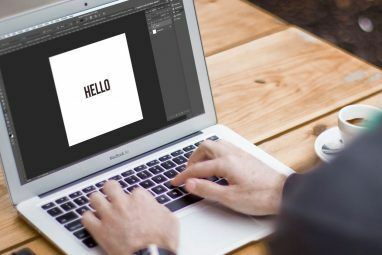 You can add to your creative repertoire of graphic design and editing tricks by spending just a little time on this site. Tutorial9 is all about one word – creation. Using tools such as Photoshop and Illustrator 10 Best Websites For Free Vector Art Downloads 10 Best Websites For Free Vector Art Downloads Read More , Tutorial9 takes you on a magic journey through the land of Creativity. By taking on these small, easy projects, you effectively will learn how to add the techniques to your own bigger ones. With Tutorial9, you will learn how to make simple images, add effects to text, and even make nifty patterns. This is relatively standard material, but think of each tutorial as a building block for you to use on your more complex structures. In addition to these tutorials, Tutorial9 also has a collection of web development articles that are worth taking a look at. For those of you that are into 3D design (something I stay far away from), I present to you 3DM3. It has what I believe to be some useful tutorials that range all the way from concept art to full 3D models How To Design Your Own Awesome Workstation How To Design Your Own Awesome Workstation I work in a tiny apartment, and use two 24” monitors. I needed a workstation that fits into a tiny niche, but can still accommodate me for many hours every day and let me work... Read More . Despite there being a portion of the site that could be deemed NSFW (the CG Girls section), the information on the rest of 3DM3 is very valid and useful for all you modelers and animators out there. With tutorials in at least sixteen different 3D-related apps and programs including 3DS Max, Maya, Cinema4D, and Z-Brush, you’ll find yourself never short on view-worthy content that can easily be put into practice. 2DTuts is a division of 2DArts, a marketplace for digital art (and that actually includes 3D art, too). On 2DTuts, you’ll find detailed walkthroughs on digital painting, something that could work well with a Bamboo The Best Graphic Tablets and Graphics Programs for Digital Design The Best Graphic Tablets and Graphics Programs for Digital Design We've rounded up the best graphic design tablets and software to use if you want to break into cartoons and other forms of digital art. Read More pad and stylus. Using Photoshop, you can mimic the already-created artwork in order to develop your own, and seeing how easy these articles are to read, it shouldn’t be too much of a chore. On top of that, the site also offers the occasional freebies (like Photoshop brushes) and challenges (such as Speedpainting competitions). 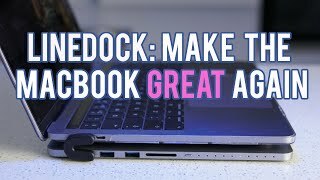 The one thing to keep in mind when you are looking at these tutorials is that you don’t necessarily need the programs they use in order to follow along. Something like the GIMP or Pixelmator should definitely do the trick. However, either way, these sites should help you in some form or fashion. 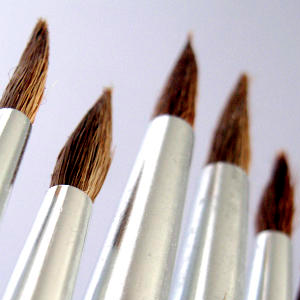 What kinds of digital art are you interested in making? Have these tutorials helped you at all? Explore more about: Adobe Photoshop, Digital Art. It's actually a great and useful piece of info. I am glad that you simply shared this helpful info with us. Please stay us informed like this. Thank you for sharing. Thank you for any other wonderful post. The place else could anyone get that kind of information in such a perfect means of writing? I've a presentation subsequent week, and I am at the look for such info. For serious artists, at any level of skill, i highly recommend http://www.cgsociety.org/ - there are a lot of advanced users there more than willing to critique your works, or to point out what you did wrong AND (most importantly) how to fix it. There's a forum topic where every now and then Steven Stahlberg (http://www.androidblues.com/) does paintovers - just by reading through that topic one can learn a whole lot about lighting and use of colors and anatomy and much, much more.. I learned 3D modelling, texturing, 2D drawing, pixelling and more through the free information available everywhere on the internet. IMHO, learning in your own rhythm is the best way to learn. And the whole world is a teacher, friend, or simply a critic! Take every critique as a positive experience, as a new step towards self improvement, and you will be amazed of what you will accomplish in just a few short months!